Aishath Himna Hassan who currently holds the national record in the Women's 400m Dash, finishing in 59.18 seconds. 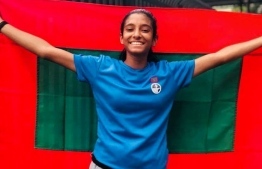 Aishath Himna Hassan broke the national record in the women’s 400m dash, clocking 59.18 seconds in the Asian Youth Athletics Championship held in Hong Kong. 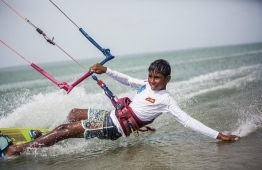 Himna surpassed the previous mark of 59.73 seconds set by herself during the Youth Olympics Qualifications in July 2018. Nevertheless, she failed to continue to the finals because she was not enlisted in the top five timings from the heats. 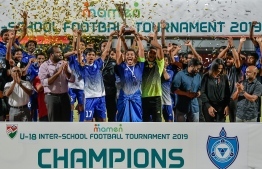 Himna broke the 400m record for the third time in nine months. 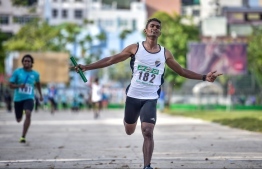 During the Asian Junior Athletics Championship in June 2018, Himna first broke the 400m record of 1 minute 33 seconds set by Mirufath Ahmed in 2010. 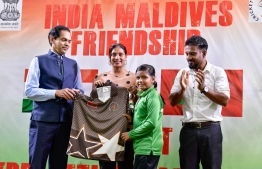 Himna was trained at the Athletics Association in Addu Atoll and she holds the youth record for the 200m sprint as well. She made the 200m national record clocking 26.73 seconds in the South Asia Junior Championship, beating the previous record of 27.32 seconds.